What Is A Key Holding Service? Those new to the commercial security industry may have heard the term “key holding” and have a vague idea of what it means, but still aren’t entirely sure of what the service means. 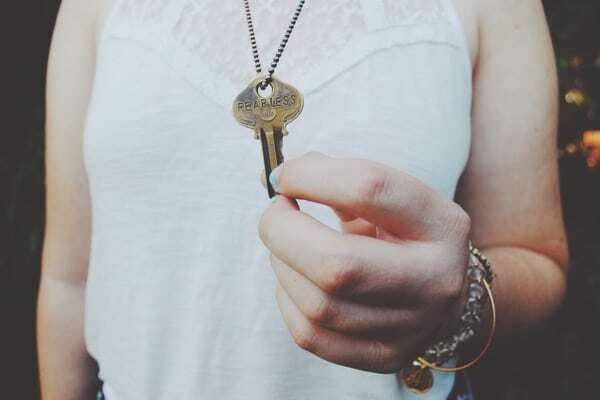 Simply put, key holding is an agreement between a private party and a security company for the latter to take possession of a spare set of keys for a residential or domestic property belonging to the former for safe keeping. In the event of a break-in or an emergency alarm being sounded, the security company sends a trained professional to investigate the cause, using the keys in their possession. They will then take appropriate action and resolve the situation one way or another, so that the home or business owner does not have to get involved. • Premises inspection. The security company will visit the premises in question and conduct a full onsite survey, familiarising themselves with the layout of the building, the positioning and functionality of the alarms and determining the protocol if an emergency situation does arise. • Key handover. The home or business owner hands over a set of keys to the property to the security company and receives a receipt in return. These keys are then stored at a safe and secured location and are only ever used if an alarm is raised. • Alarm activation. In the event that a fire, intruder or other emergency alarm is raised, the security company will send one or more of their trained team to the premises with the keys to gain entry, conduct a full search of the property and determine what the problem is. • False alarm. In the case of a false alarm, the security professional will reset the alarm and secure the property once more, before leaving the premises and restoring the keys to the secure place in which they were previously kept. • Genuine emergency. In the event that a fire has broken out or an intruder has made a genuine attempt to infiltrate the property, the security professional will follow established protocol. Most often, this will involve alerting the emergency services and the property owner to make sure the situation is under control. • Full report. In either event, the security company will compile a full report on the incident and send it to the property owner via email. This will normally occur within 24 hours of the incident itself. • No need for onsite security. Not many private individuals or companies can afford the luxury of an onsite security team out of office hours, but a key holding service can increase the protection of your premises even in their absence. • Peace of mind. With a key holding agreement in place, there are no more sleepless nights worrying about an intruder taking advantage of an empty premises or faulty wiring causing an inferno. The key holding team will be on hand to address any problems immediately as they arise. • Takes the weight off staff. Many companies designate one of their employees as the member on call to respond to any problems. This places an undue burden on the staff for which they are seldom paid; key holding removes that burden. • No personal risk. Whenever an alarm is sounded, there is a tangible danger that the building has caught fire or is under attack from malicious persons looking to steal property. Attending such a situation necessarily entails some personal risk to the individual involved – but with key holding, that risk transfers to the security personnel. • Trained individuals. In the event that an emergency has occurred, the person best placed to deal with the situation is one who has been given the requisite training. Reputable security companies which offer key holding services should employ staff who have been accredited by the Security Industry Authority (SIA), the government body in charge of this department. • Insurance compliance. Many insurance policies carry a sub-clause which makes them null and void in the event that the alarm system malfunctions. With a key holding arrangement in place, this can bolster the security surrounding the premises and compensate for alarm systems which do not work for whatever reason – although it’s always best to check with your policy provider. At Regional Services, we pride ourselves on not only being able to look after your property while it’s open – we also keep a watchful eye on it after the last employee has left the building. An attractive option for those companies who can’t afford to pay for a constant security presence around the clock, we can provide a key holding service which will strengthen your property’s defences 24 hours a day, 365 days a year. In order to provide this important service to our clients, we’ve partnered with Elizabethan Security, which has been in business since 1997 and boasts over 100 years of collective experience among its management team in safeguarding properties and providing key holding services. All of the staff employed by Elizabethan Security are fully checked and accredited in accordance with SIA regulations and will be on hand to provide a first response to any alarms or emergencies that may occur. What’s more, we can keep you abreast of any developments in the situation as and when they occur from our control centre, which is manned around the clock and benefits from senior management support. We’re proud to offer this invaluable service as an add-on to new or existing clients who may already engage cleaning or maintenance services from us. Key holding can be arranged in conjunction with any of the other services we offer, including handyman services, commercial cleaning services, pest control services, gardening and garden maintenance services and waste and recycling services. By combining all of these necessary areas into one comprehensive package, you can take care of all aspects of your property’s care in one fell swoop. To find out more about key holding – or any of our other services – get in touch with us today and one of our friendly team will be happy to help. We’re waiting to hear from you! « Why Apply For A Cleaning Job?